What is mindfulness and what are the benefits of engaging in mindfulness in the workplace? As the phenomenon of mindfulness in the workplace sweeps across some of the most forward-thinking companies in the nation, two common questions arise: what is mindfulness, and what are the benefits of mindfulness practices? Advanced mindfulness programs such as Google’s “Search Inside Yourself” employee program seek to improve everything from overall wellbeing to focus, creativity, and productivity. Most mindfulness initiatives include practices such as meditation, yoga, breath work, and guided self-inquiry. Although many of these practices have an Eastern, religious origin, their application in the workplace is non-sectarian. Regular mindfulness practice in the workplace is effectively managing stress, worry, lack of focus, addictions, and more. Employees at Google, and other companies report that mindfulness in the workplace is benefiting them by increasing their creativity, collaboration, peace of mind, and productivity. 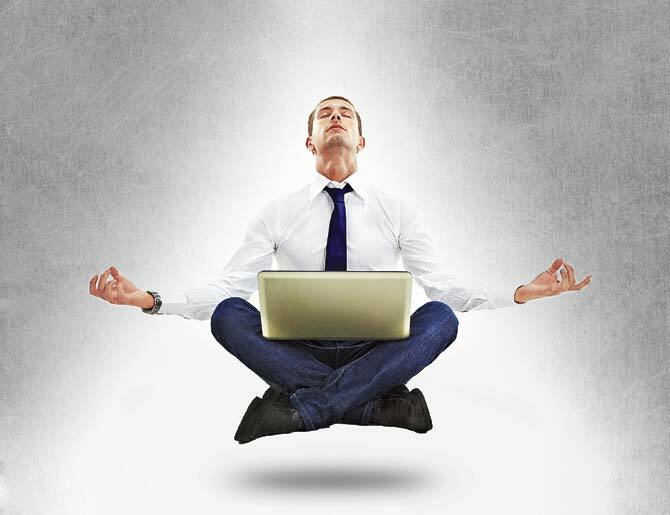 How can businesses integrate mindfulness within the fabric of our culture? In order to lead the change we want to see in the world, healthcare and technology executives must spark the mindfulness revolution through holistic organizational initiatives—setting the standard for leadership by giving our employees the resources and the education they need to open the doors for mindfulness. Healthcare and technology are already pioneering the integration of mindfulness practices within our corporate culture. The results are clear that mindfulness in the workplace has significant benefits for both employees’ well-being and the overall health of the company.